▷ Fiat Blue&Me™ TomTom update. Speedcam for your maps. Download update. Free custom download. 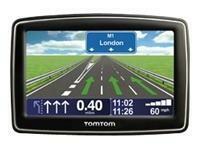 In order to update your GPS device: Fiat Blue&Me™ TomTom with the latest update, follow next instructions. First of all, be sure you got the update file for your Fiat Blue&Me™ TomTom device, downloaded from SpeedcamUpdates.com. Insert the memory card of your Fiat Blue&Me™ TomTom device into your PC. Browse the memory card looking for the map folder. Copy all files extracted before, in the map folder. Finally insert the memory card into your Fiat Blue&Me™ TomTom device again. Start your Fiat Blue&Me™ TomTom navigation system, and go to Manage OVI/OVI (de-)activation in order to activate each speedcam category.